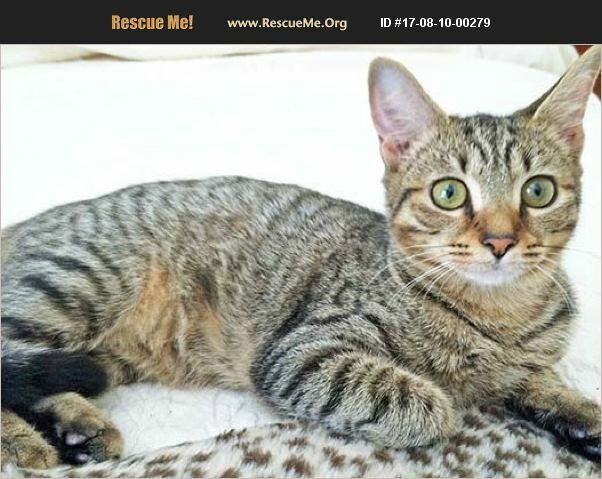 For adoption fees and more information about our adoption policies, and to complete an adoption application, please go to our website, purrpartners.org. Irma Jean is a bundle of energy, a true extrovert eager to explore, to see everything, meet everyone, play with every toy she can. Maybe it was that sense of adventure that got her lost in the first place, a tiny 6-week-old kitten all alone and crying for help from underneath a porch. Today, she is a healthy and happy young lady, eager for more adventures but also fond of a good cuddle with her human. She loves to play with her BFF, Vivian, and hasn't been at all intimidated by the larger cats in the household. Perhaps we should add that 'brown tabby' doesn't do justice to her unusual markings, a beautiful mix of stripes and spots. Lovely as she is, though, it's her personality that will win you over.